In a perfect world, no matter what the sport is, everyone wants to see the two best teams fighting it out in the end for the right to be called champions. That way we can definitively say that the national champion is really the best team in the country. Sadly, this scenario does not unfold as often as we would like. But that is not an issue for the college football championship this season. 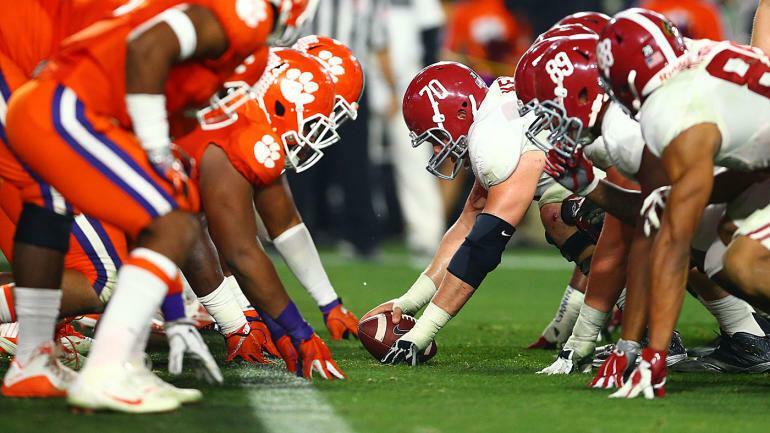 The Alabama Crimson Tide and Clemson Tigers are clearly the two best teams in college football this season. But which one is going to be the national champs when all is said and done Monday night? It comes as no surprise that these two teams are the ones left standing at the end of the season. Many expected them to make it to the end before the season even began, and sure enough—they did. However, with how they took down their respective opponents, it is hard to say who is better. Alabama dominated everyone they have played like they often do. But how they did it was a little different this year. They still had one of the best defenses in the country (16.2 points/game allowed) and were hard to move the ball against (307.9 yards/game allowed). They still got the job done on offense as well—but how they did it is what was different. Fans have known Alabama to be a running team capable of imposing its will on whoever they play. They are still good at running the ball (202 yards/game), but this season, it has been the passing game leading the way (325.6 yards/game). Being so good at running the ball and passing it has made them even harder to defend—and has allowed them to average close to 50 points a game this season (47.7). But a similar picture could be painted for Clemson as well. Much like the Tide, the Tigers are at or near the top in almost every offensive category. They are good at running the ball (256.3 yards/game) in addition to passing it (274.1 yards/game). Between the two, they have the third-best offense in the country and score close to 45 points a game. As good as Trevor Lawrence and the Clemson offense is, their real strength lies in the defense. They have been hard to move the ball on this year holding teams to 274.6 total yards/game. Teams have found it especially hard to run on them (92.6 yards/game allowed). But it hasn’t been easy to throw on them either (182.1 yards/game). In the stat that matters most—points per game allowed – they led the nation (12.9). Alabama fans are probably encouraged by the way Texas A&M was able to throw on Clemson’s defense. Because if Kellen Mond can have a 400+ yard day, surely Tua Tagovailoa can. But that may not be enough if Trevor Lawrence is able to throw for 300+ yards like Georgia’s Jake Fromm did against Alabama in the SEC title game. This one could very well come down to the running game and defense. In regard to both, Clemson is the better team. Look for the game to be a close one throughout, but in the end, it will be Clemson walking away with the title this season. But if they don’t win, the margin of victory will probably just be a field goal—so take Clemson and the points (+4.5). As for the over/under (58.5)—neither offense will dominate the game, but both will play well and score in the 30s. So, take the over.